New Short Story for Kids written by: Marllivy Arango. 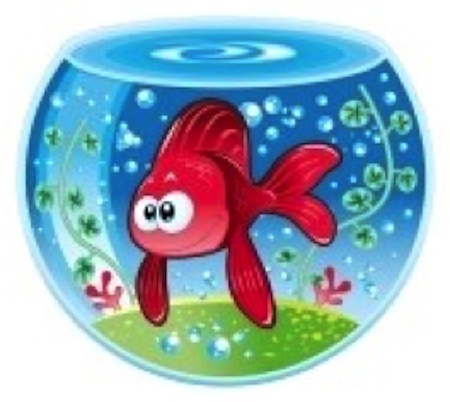 Once upon a time inside the crystalline waters of a fish bowl, a red fish was living. Had big eyes and his name was Jasperlyn. Jasperlyn was always observing a corn plan that was outside his fish bowl, but it was not a normal corn, it was beautiful and very shiny. Jasperlyn was so happy, In spite he was alone in the fish bowl he did not feel like that, because the corn plant was illuminating his fishbowl, and if he was sleeping, the corn stopped shining. One rainy day, Jasperlyn was looking at the beautiful plant of corn and began to feel sick, he did not stop of looking at it until went to sleep; he actually though that would feel better after sleeping, and could contemplate the brilliant plant better.